For our next Tone Madison-presented show, we're excited to welcome wide-ranging Chicago electronic artist Lykanthea to Arts + Literature Laboratory. 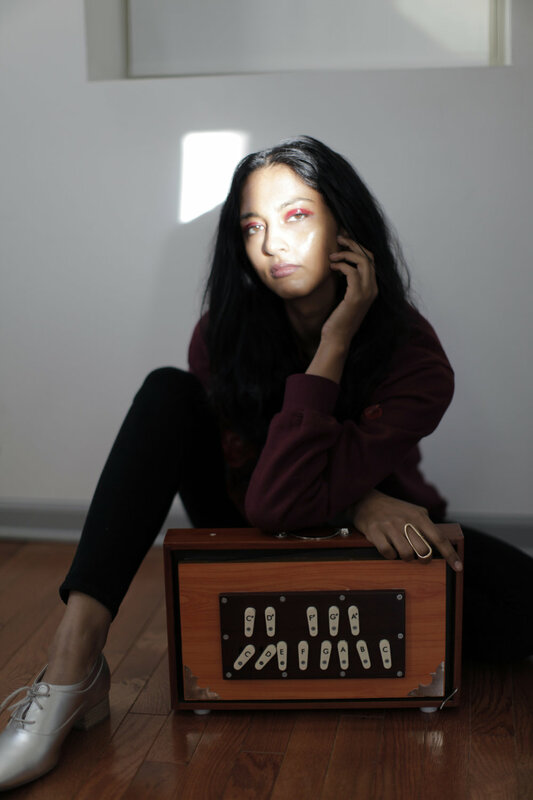 Lykanthea is the project of Lakshmi Ramgopal, who describes her work thusly: "Alchemizing spectral vocals and synths, she forms transient, enveloping worlds. Her sound is ritual chanting for the electronic age." Madison singer-songwriter Olyvia Jaxyn opens up the night with their soul-searching tunes and ethereal vocals, and Madison's Chants will wrap things up after Lykanthea's headlining set, with an excursion into the more adventurous regions of dance music. A no-fee ticket presale is available now, and there's a discount for Tone Madison Sustainers. Our Sustainers are monthly donors who support our journalism, and our efforts to present performances from local and touring artists who make compelling and experimental music. Thanks to our sponsors for making the event possible: Just Coffee, Union Cab, and MadCity Music.